Alice in Wonderland is a fantastic background for any modern-day fairytale retelling, so it’s not a huge surprise that the world in this book was rich with detailed descriptions and lovely language. I felt like every word Howard wrote belonged to a deep and meaningful piece, hidden beneath the original book. Despite my fascination with the way the book was written, I wasn’t all that fond of this book. It had a good storyline to set it up, so that coupled with the vivid language should have immediately made the book a hit, right? Wrong. 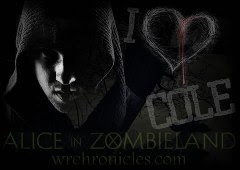 The characters in this book and the way they talked, as well as some of the actions they took just didn’t jive with me. Okay, let me back up to what I thought about the characters. Alyssa at first was a unique young adult character. She had some weird hobbies and she wasn’t your typical YA main character, but at some point, her weirdness just got boring and odd. I guess I didn’t really see the connection between her in the regular world versus her in the Wonderland world and how her two sides panned out. I also didn’t really like the two main boy characters: Jeb and Morpheus. I’ve never been a fan of the boy-best-friend-who-wants-something-more-at-just-the-perfect-moment storyline, so Jeb automatically was a no-no for me, but I thought I’d like Morpheus. I mean, I kind of liked him, but who he’s supposed to be is just weird. I thought he was going to be the son of the Mad Hatter or something, but that is NOT who he is. I did enjoy the side characters, though. They were a perfect blend of weird and fun to read about. Now, on to how the characters talked. I could rarely understand the logic of the flow of conversation whenever Alyssa made her way to Wonderland. I was confused about 90% of the time. I think the book just needed to slow down and explain things better, this could have helped some of the too-quick action scenes too (there were quite a few of these). I also sometimes couldn’t understand Alyssa’s own conversations in her head. She just made decisions that, while I know they’re supposed to be illogical because it’s Wonderland, I still couldn’t really wrap my head around. 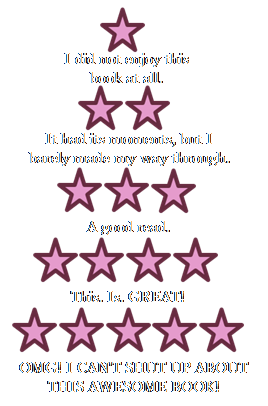 What redeemed this book enough for me to give it three stars instead of say, two or just one, was the ending. I had no idea what was going to happen at the end and I was surprised and intrigued for the last 75 pages. However, considering the book is more than 300 pages, it should have had me captivated from at least page 100. 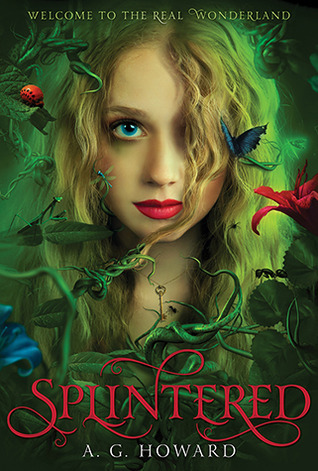 All in all, Splintered is a book I wouldn’t really recommend unless you’re an Alice in Wonderland fanatic. It takes way too long to get into the storyline and too much time to try to understand everything. P.S. The book itself is gorgeous, though.